KAMPALA – The opposition Forum for Democratic Change (FDC) party has said it cannot form a coalition with what it described as weak parties ahead of the 2021 elections. Last week, leaders of the Democratic Party, People Power pressure group, and the yet-to-be registered Alliance for National Transformation (ANT) led by Maj Gen Mugisha Muntu called for unity among opposition parties ahead of 2021 elections and scoffed at FDC for choosing to go it alone. But speaking at their weekly press briefing at its headquarters in Najjanakumbi, Kampala, on Monday, FDC insisted that they cannot entertain people who promise a lot and deliver nothing. “We have tried this before and were disappointed. They always call us assuring us that we would get someone through consensus and at the end; they bring in numbers, which is unfair. This is why we shall not accept this,” said FDC deputy spokesperson John Kikonyogo. He was referring to the 2016 election where opposition leaders planned to front former premier Amama Mbabazi under a coalition named TDA. However, Dr Besigye at the time declined to join the coalition. “We have now gone into a countrywide consultation. 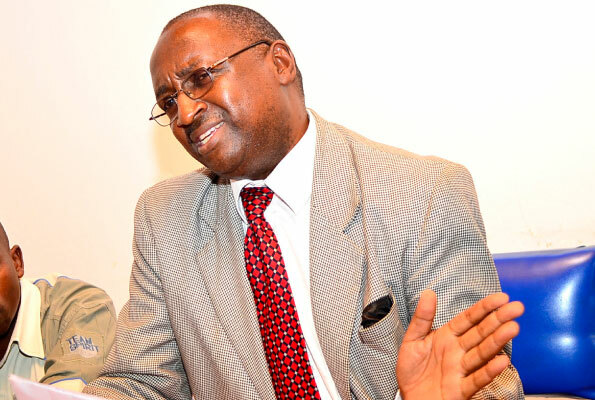 We want to see what the people want because last time when everyone saw Mr Amama, they thought he was the messiah but in the end people voted for Dr Besigye,” Mr Kikonyogo added. In recent days, the DP bloc has increased its attacks against FDC and Dr Besigye, accusing them of being selfish by wanting to stand all the time against President Museveni. He added that they are obsessed with taking over power and cannot entertain people who promise a lot and deliver nothing.